Mobile Application Development has unique set of challenges. Do it right, you reap the benefits of great customer penetration. Do it wrong, and your most loyal customers can shut your app down, and never return. Does your application function on low bandwidth while providing better interaction with high bandwidths like Wi-Fi? Users don’t have the luxury of time to navigate through complex interface on a mobile device. Is your design self-intuitive? Does your application use the optimal use of battery life? You don’t have a zillion gigabytes of memory on a Mobile device. How memory-hungry is your app? Not every user has same data plan. Be considerate? Does your app maximize device capabilities? With limited processing power compared to computers, are you making the best use of it? iPhone Development: Indyzen can help you build iPhone or iPod Touch application for your business. Android Development: Depend on Indyzen to develop your Android applications. With the Open Handset Alliance, Android is getting a lot of traction. Symbian Development: Build applications for specifically for Nokia, the largest manufacturer of cell phones in the world. .Net Compact Framework: Let Indyzen take care of all your Pocket PC / Windows Mobile development needs. 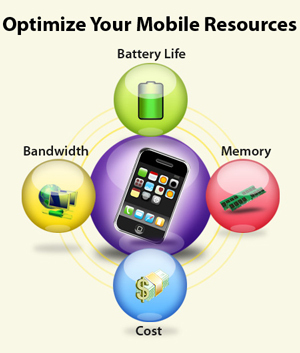 Contact Indyzen today for your Mobile development needs!